How Divorce Lawyers Handle Their Own Divorce. Have you been wronged in your marriage and want to file for divorce? Do you want to make the divorce process as miserable and prolonged as possible for the spouse who wronged you? 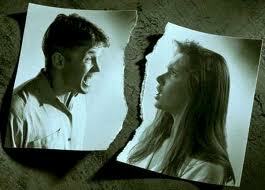 As a Jacksonville Divorce Lawyer I recommend thinking past your anger and looking at the bigger picture. Divorce is obviously an unpleasant procedure, but divorcing couples should consider doing what divorce lawyers do in their own divorces. Divorce lawyers have vicariously experienced their client’s frustrations during the divorce process. One such frustration is the client’s desire to inform the Family Law Judge of all the injustices, dishonesty, betrayal, adultery, etc… However, in reality, if the client is given the opportunity to testify in front of the Judge they are merely allowed to speak when answering a question posed to them. There is no, “Judge he did this to me and didn’t do this, that or the other.” Oh, and of course, the rules of evidence will only allow that certain testimony be presented. Divorce lawyers are also aware that divorce litigation may bring about a legal resolution but may cause significant family issues. Further, hostile and unnecessary litigation can cause emotional trauma to parties and their children that can last for decades. Thus, it is not surprising that over 90% percent of all divorce cases settle before trial. Most settle before or at mediation. In Jacksonville, Family Law Judges almost always order parties to attend mediation prior to going to trial. As a Jacksonville Divorce Lawyer, I know this is the best chance to settle the case with both parties being as satisfied as possible. To learn more about how to settle a divorce case before going to trial contact a Jacksonville Divorce Lawyer with Law Office of David M. Goldman to schedule a free consultation.